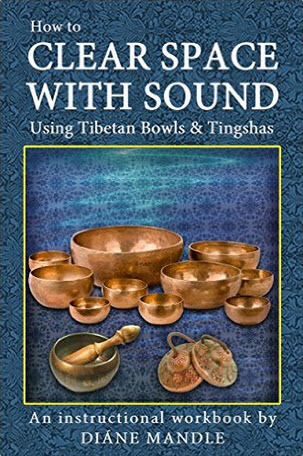 Now you can use the ancient art of Tibetan sound healing to transform your own space and that of others! This complete instructional e-book course is designed to help you learn all the basic aspects of using sound to clear space. And there is plenty of room for you to add your own elements to the process. Even if you're a total beginner, you'll get immediate and powerful results from simply following Diáne's easy to follow instructions. These ancient instruments were created for consciousness transformation and they bring that energy into each and every space clearing session you conduct. Where and how to purchase the highest quality tools and instruments for space clearing. You'll refer to the book again and again as you grow in your practice. It is perfect for sound healers, realtors, and anyone who would like to learn to create a powerful energetic imprint in their space while ridding the space of old stuck energy. The practical application for space clearing is endless. Anyone who works in a space were others come and go, who lives in a house, who suffers a lack of creative energy or motivation- space clearing is for everyone. "Diáne was a gentle yet powerful guide for the space clearing of my home. She helped me clarify and strengthen my intentions for what I needed to release and what I wanted to invite into my life. I now see my home as my ally as I move forward in a new direction. The experience was all I hoped it would be and more." These sacred sound instruments have great innate power for healing and transformation. Sound combined with the other space clearing tools, guided visualizations, clear questions and procedures, will produce powerful results in a way you could not imagine. And don't forget, this satisfying and rewarding journey may be the start of a new and exciting career! Of course, you won't become an expert overnight. We recommend you practice in your own space and those of friends first until you gain confidence and a feel for the flow of a session. As you refine and perfect your skills, you could find your services in big demand. No matter what, this is really a 'win- win' opportunity. You learn a skill that benefits you and those around you and your first paid session will more than earn back your investment in this course. 1) Workbook - The 28-page workbook is e-mailed to you right away. 2) BONUS- Space Clearing Teleclass. Free link to a teleclass recorded live. You'll be informed of latest developments in sound energy healing, industry events, inspiring stories, and opportunities to grow and expand your healing skills and practice. 5)Diáne welcomes questions and feedback from customers by email to help you every step of the way. You will always be responded to in a timely manner. Few authors and teachers do this. NOTE: Please set your spam mail filter to receive the e-book from the following address: diane@soundenergyhealing.com. 2. Email me at: diane@soundenergyhealing.com and INCLUDE YOUR PHONE NUMBER so I can call to trouble shoot or call me.